Through a request from Lion Members Melanie Paz and Jan Brown, Canary Coves Resort handed over a Plus Optix eye screening device to the San Pedro Lions Club on Friday, July 8th. 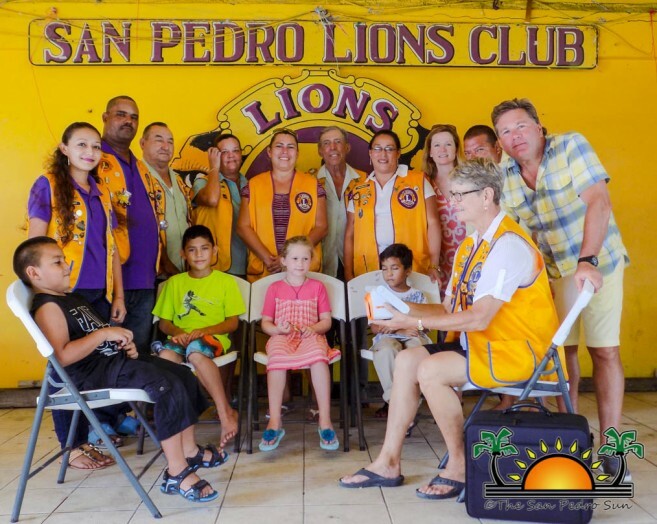 Since November 2015, the San Pedro Lions Club has conducted an “Eye Screening Program”, and has screened over 1,500 children on Ambergris Caye, Caye Caulker, and Corozal. On hand to receive the donation was President of the San Pedro Lions Club, Fatima Graniel, who was grateful for the much needed equipment. “We are so thankful for this donation. We have two eye screeners, but we have to rotate them between Belize City, Belmopan, and San Estavan. Now that we have our own, it is more convenient to carry out the screening here in San Pedro,” said Graniel. The Lions are committed to providing eye glasses for free to children who need them, and parents/guardians who cannot afford them. Up to the month of April 2016, over 180 children in San Pedro and Caye Caulker have been referred to obtain eye glasses. Graniel personally knows the importance of the program. “My daughter at the age of 8 started to have vision problems. I feel that having this technology, we can prevent our youth from having major sight problems,” she said. Manager of Canary Coves, Gil Nuñez, believes that having a personal eye screening device is of great local benefit. “We formed another organization called belizekids.org, and our first step was to initiate a clinic. So by donating this, we can now screen our kids locally,” said Nuñez. 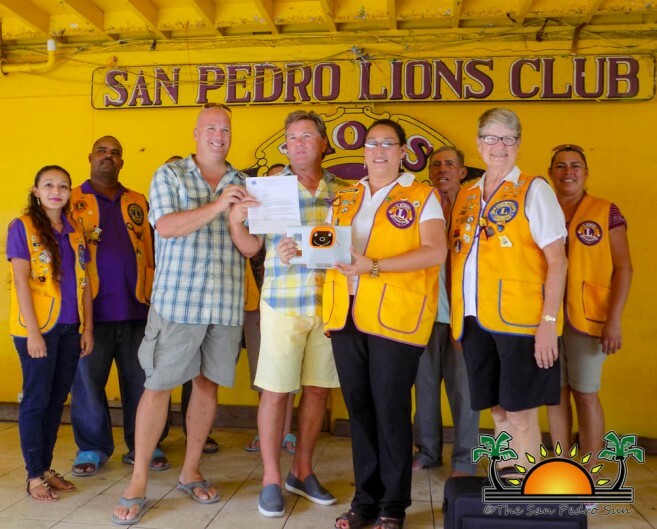 The San Pedro Lions Club will now be screening children throughout the island, Corozal Town, and neighboring villages. The San Pedro Lions Club extends a big thank you to Canary Coves for this generous donation.